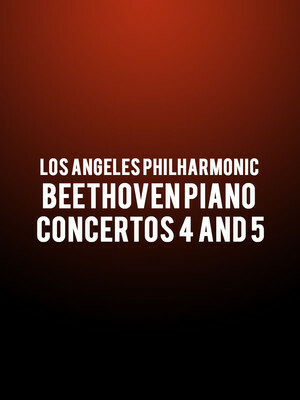 Why See Los Angeles Philharmonic - Beethoven Piano Concertos 4 and 5? Two classical masterworks, two special guest soloists! 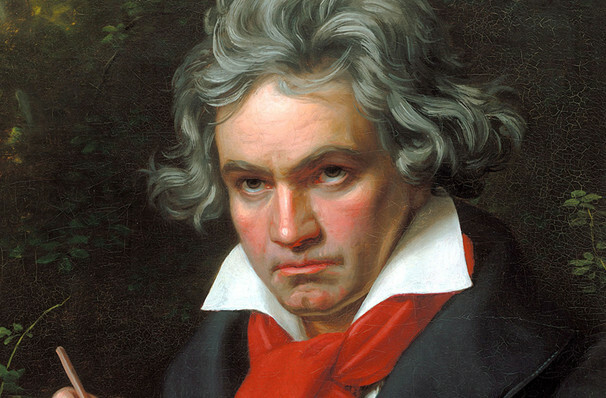 The Los Angeles Philharmonic and its fearless Music Director Gustavo Dudamel invite concertgoers to feast their ear-teeth on Beethoven's timeless Piano Concerto No. 4 and No. 5, the latter of which is dubbed the Emperor Concerto. Acclaimed Russian pianist Yulianna Avdeeva joins the ensemble for the fourth, an innovative work that broke the traditional concerto format in favor of great intimacy, lyricism, serenity and almost improvisational poetry. Celebrated Spanish classical pianist Javier Perianes will then join proceedings for the Emperor Concerto, Beethoven's last and most resplendent piano concerto. One of the most performed works of his five piano concerti, it premiered in 1811 and won immediate praise for its orchestral grandeur, bold melodies and heroic spirit. Listen out for the strikin opening movement, virtuosic solo passages and glorious, triumphant rondo finale. Sound good to you? Share this page on social media and let your friends know about Los Angeles Philharmonic - Beethoven Piano Concertos 4 and 5 at Walt Disney Concert Hall. Please note: The term Walt Disney Concert Hall and/or Los Angeles Philharmonic - Beethoven Piano Concertos 4 and 5 as well as all associated graphics, logos, and/or other trademarks, tradenames or copyrights are the property of the Walt Disney Concert Hall and/or Los Angeles Philharmonic - Beethoven Piano Concertos 4 and 5 and are used herein for factual descriptive purposes only. We are in no way associated with or authorized by the Walt Disney Concert Hall and/or Los Angeles Philharmonic - Beethoven Piano Concertos 4 and 5 and neither that entity nor any of its affiliates have licensed or endorsed us to sell tickets, goods and or services in conjunction with their events.